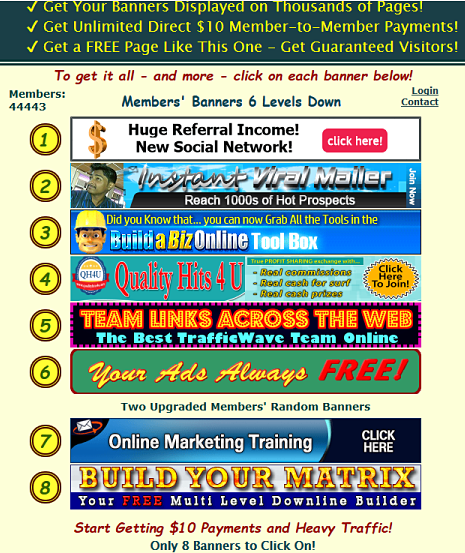 This advertising program is VIRAL, because a new member must click each banner and visit each site in order to join, and you benefit repeatedly as new members in turn promote the page. 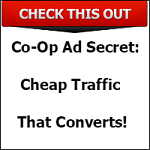 This means you get guaranteed traffic to any site(s) you choose to promote. As new members join under you, their banner goes in the first slot and yours moves down. As your network grows you will receive thousands of visitors to your chosen sites (you can rotate multiple sites automatically). In the back office there are statistics to tell you how many clicks your sites are getting. 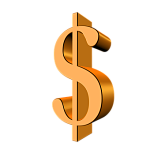 Cash In On Banners has a very strong income component, because the paid upgrade only cost $10 (US). Plus, you can earn $10 pass thru income from your downline as they build out their networks. Once you log in click “How It Works” from the left menu. Then, look for the “Generating a Constant Flow of Money:” paragraph. 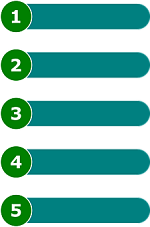 In addition there are three more paid programs with referral benefits in the back office which are strictly optional to join. If you join them, you will benefit when new members join under free downline members who have not upgraded. 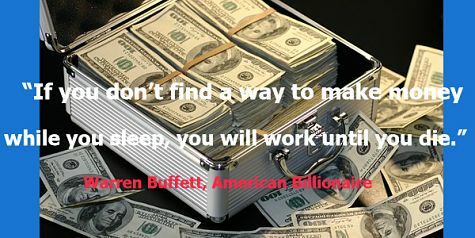 Multiple sources of income is always a good thing! Another strong feature of this program is the ability to communicate with members of your downline thru the back office. Below is an image of the contact form. Once you login click the “Statistics And Downline” link from the left menu. The names of all your first level downline members will appear and when you click any name, the above form will appear with individual identity stated (blocked out above for privacy concerns). Being able to share successful methods of promotion is a critical asset of this program. Let me give you a little personal history of my experience with multi-level online programs. I have belonged to and promoted numerous multi-level opportunities over the years and have had some success growing my personal downlines. But, a recurring problem has always been my downline was much less successful in building their downlines. Therefore, it is critical that you study and learn how to promote this viral advertising program, Cash In On Banners so that you can educate your downline. 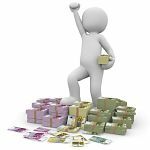 I’ve written a blog post, Co-Op Advertising Strategy For Multi-Level Marketing Programs that details a strategy that can be used to grow a Cash In On Banners downline to immense proportions. 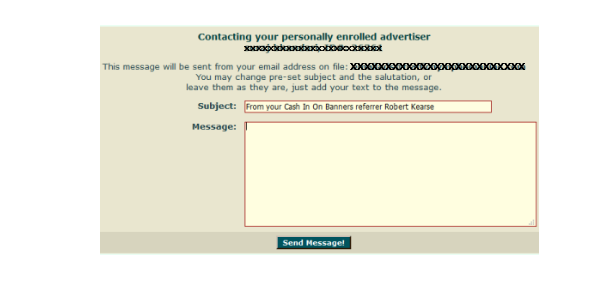 Once someone joins your Cash In On Banners downline you will be able to refer them to the above article for both knowledge and motivation. Your Free Banner on Thousands of Pages! Have you ever seen the above headline as a subject line in an email. 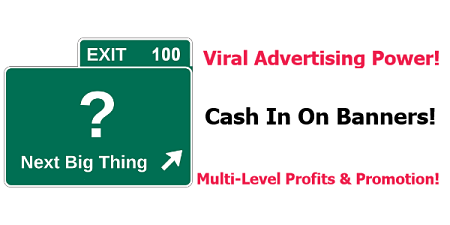 It’s very effective, and one of the strong ways to promote this viral advertising program is through the free-to-join online viral mailers and safelists. You will benefit collectively from a huge amount of free advertising credits offered by the individual programs as an incentive to join! If you concentrate this free advertising firepower on one or two programs you should enjoy immense benefits. Since each program offers referral benefits it will be very rewarding to you to promote your own Email Advertising Directory referral url as well. OK. You are well equipped to get off to a strong start. BOOKMARK this post for future reference! If you get so excited by some of these digital gifts that you end up buying them for yourself, don't blame me! Give the gift of advertising!! This is one digital gift that the recipient will remember and thank you for a lifetime. Give the gift of knowledge! 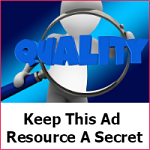 A digital gift with powerful knowledge of how to create income using the outsourcing authority site, Fiverr. I bought this gift for myself, and it is awesome! (Goes perfectly with Fiverr All-Starrrs below). 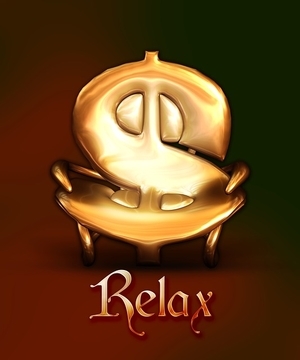 A tremendous resource that will increase productivity and time freedom. All the time consuming work of determining the absolute best service providers on Fiverr has been done for you. 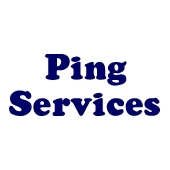 The author hand-picked, then tested each service provider. He ordered services from each. Only THE BEST made it into this powerful guide! Amazon.com is the most powerful online marketing company in the world, and second place is a long way back. Anyone can become partners with Amazon.com by publishing ebooks through their Kindle format. KD Publishing Pro is amazing software that makes the publishing process easy on Kindle. By the way, anyone who has a series of closely related blog posts on any particular subject has the solid basis for a Kindle book. Awesome productivity resource! I have used this product with great benefits. The icon is on my desk top, and I call it up whenever I have a series of things to do online. Action Enforcer helps me stay focused since it is so easy to get distracted on the Internet. There is always something new and fascinating bursting on the Internet scene to distract you from the priority tasks at hand. Well, here's the cure for that problem. Below the initial following link is a link to a Help Page with 3 short how-to videos showing how Action Enforcer works. Hope this post solves some of your last minute Christmas gifts problems or holiday shopping woes.